Did you resolve to improve your finances in 2012? Getting out of debt, saving more money, getting organized, and simplifying money management are all top goals for many at the start of the new year. While these financial goals may seem daunting at times, there are several small, simple steps you can take to improve your finances and simplify your money life. 1. Automate as much as you can – You can save time, and sometimes even money, by automating your personal finances. When you sign up for automatic bill pay for your mortgage, utilities, or other regular payments, you save time because you don’t have to think about making the payments, and you save money by never having to pay a late fee. Plus, some companies even offer you a discount of a few dollars when you sign up for automatic bill pay, because you’re also saving them time and money. In addition to making automatic bill payments, you can also save big by automating your savings and investments. The surest way to save for a rainy day and build wealth for the future is to automatically transfer money to your savings and investment accounts. 2. Get no-fee checking account – Sadly, a lot of banks are adding, or increasing, their fees for checking accounts and debit card use. If yours does, take a few minutes to contact other financial institutions in your area, especially credit unions, to see if they offer no-fee checking. Online banks, like ING are growing in popularity. Earn a $50 bonus when you open an Electric Orange℠ checking account from ING DIRECT. Free ATMs and no overdraft fees. 3. Check your credit report and get your credit score – In the last year, I’ve been contacted twice by debt collection agencies who were trying to pin someone else’s debts on me. They had the same first and last name as I do and lived in the same state. From these situations, I discovered how important it is to check your credit report at least once a year to protect yourself from credit fraud and ensure that someone else’s debts don’t show up on your record. By law, residents of the United States can receive a one free copy of their credit report each year by going to www.annualcreditreport.com or calling 1-877-322-8228. And you’ll also want to keep tabs on your credit score, which informs lenders of your credit-worthiness when you want to borrow money for a house, car, etc. Credit scores range from about 350-850 points. The majority of scores are in the 600-700 range. The higher the score, the better your credit-worthiness. Scores of 700 and above are considered “prime” and can get you much better interest rates on loans. Having a score below 700 means you’ll probably have to pay a higher interest rate to get the credit you seek. Click here to learn how to get your free credit score. 4. Download a finance app for your computer, iPad, iPhone, etc. – Want to improve, and even simplify, how you manage your money? There’s an app for that! Check out Mint, You Need a Budget, and my wife’s favorite, Mvelopes. 5. Establish a 2012 spending plan (budget) – A spending plan, or budget, is nothing more than a way for you to decide in advance where you want your money to go: how much you want to save how much you want to give, how much you want to live on. I speak from personal experience…if you don’t plan in advance where you want your money to go, it will end up going elsewhere. The apps I mentioned above will all help you create a spending plan. 6. Clean up old accounts – If you’ve got old checking, saving, investment, or credit accounts that you no longer use, and don’t plan on using, now’s a great time to close them and clean up your finances. Fewer accounts means less to keep track of. When you get your credit report, check to see if you have any open credit accounts that you no longer use, like a line of credit at a department store, auto repair shop, etc. Just because you paid off the line of credit, it doesn’t mean that the account has been closed. If it shows as “open” on your credit report, then that line of credit is still open and accessible until you close it. 7. Balance all your accounts – If you’re the type of person who only balances your accounts when you get around to it, now’s the time to get around to it. You’ll want to know what your accounts looked like at the end of 2011, so you’ll know where you’re starting for 2012. Using a financial app like Mvelopes is a really great way to stay on top of keeping your accounts balanced. My wife used to dread paying bills and balancing our checkbook, but now she can’t wait, because Mvelopes has made it so easy and…dare I say…enjoyable! 8. Review your investments and retirement accounts – Sometime in January, you’ll receive a year-end statement for each of your investment and retirement accounts. Don’t just put them in the file for another day. Make the time to see how your accounts are looking. Now’s a great time to make adjustments, and to make sure you’re maximizing all the retirement savings options that are available to you. If your employer offers a match to what you save for retirement, be sure you’re getting the maximum match possible. 9. Take advantage of all your job benefits – Review all the benefits and options offered by your employer, and make sure you’re taking full advantage of them. I’ve had excellent vision benefits for years from my employer but it’s been about four years since I’ve had my eyes checked or bought new glasses. I definitely want to make sure we’re taking full advantage of that benefit this year! 10. Create debt elimination plan – If you’re in debt, this is the year to stop moving it around and finally pay it off! To do that, you need to understand how much debt you have, set a realistic goal, create a debt elimination plan, follow the plan, and track your results. There are lots of great resources that can help you eliminate your debt. 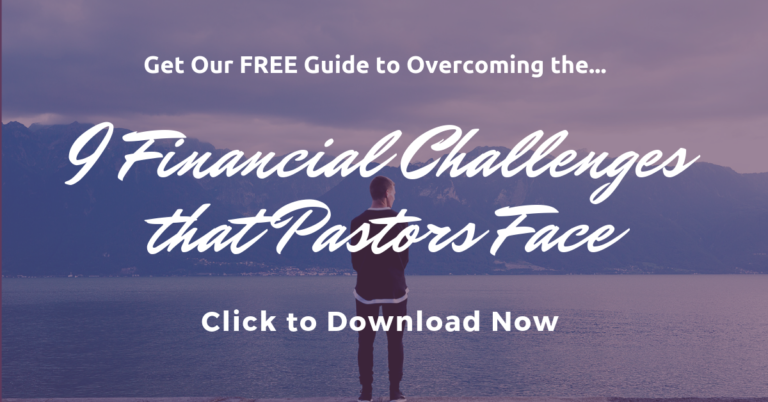 I like SavvyMoney (formerly called Debt Goal) and The Debtonator Course, which was created by a pastor who has helped thousands of people pay off their debt – and stay out of debt for good. You can improve your finances almost immediately by following just a few of the smart money moves mentioned above. But don’t feel overwhelmed by thinking you have to do it all at once. Just focus on one or two this month. Then one or two the next month, etc. Pretty soon, you’ll be feeling better about your finances, and they’ll be looking better, too. 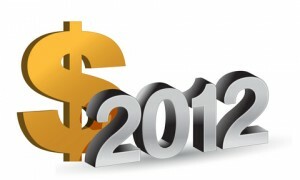 What are you going to do to improve your finances in 2012? Please share your thoughts in the comments section!